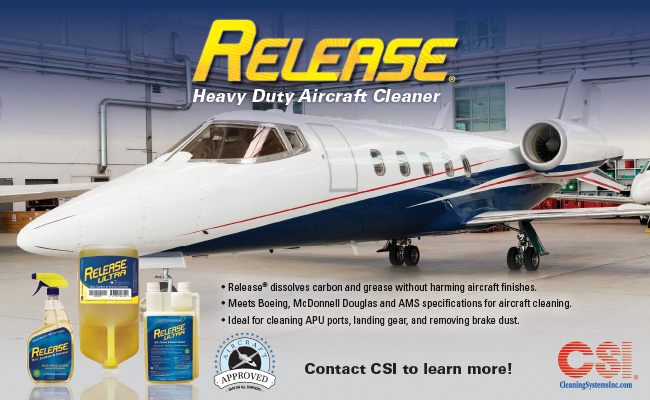 Release® emulsifies oils and associates with soil and carbon deposits for removal without damage to surfaces, gaskets, seals or hoses. Non-Corrosive, Acid, NPE and Phosphate Free. Conforms to interior Boeing D6-7127 Rev P, CSD 1, AMS 1550 & exterior Boeing D6-17487 Rev R, CSD 1 & AMS 1526C testing.